Selecting from the Philippine dog breeds that fit the climate is no walk in the park. Selecting from the Philippine dog breeds that fit the climate is no walk in the park. Your head will spin with a lot of advice from acquaintances and information from the internet. Just because a Pug fits Juan’s home doesn’t mean it will fit yours. Every home is distinct the family members might have a dog breed in mind. Neighbors won’t appreciate a noisy dog or you need a dog to guard the house when everybody is away. Your research shows that Philippine dog breeds with furry coats will not fit Philippine’s hot and humid climate. Not true, you might miss out on a smart and easy to please Golden Retriever who has acclimatized. What dog breed will fit with your family? Are there any small tykes? Do you need a companion or a guard dog? Are you the outdoor or indoor type of person? Do you have space for the dog to roam? We did some research and here are the 8 Philippine dog breeds with registered dog parents at the Philippine Canine Club Incorporated (PCCI). Aside from their cuteness, it’s easy to bring them anywhere. A bag or a purse will come in handy to carry your pooch anyplace you go. Just don’t forget to let their lovely heads free so they can breathe. One of the friendliest dogs, they can be dognapped without a whimper. They are eager to see someone they don’t bark but wags their tail rapidly to show their sweet and caring nature. Their droopy eyes are misleading they will look pitiful, it’s their nature. Also called little lion or Chrysanthemum dog will attract attention in your dog walk. These lovelies will give any pooch a run for their money in cuteness and the well-dressed department. Their hair needs constant grooming to keep the thick coat clean and in place. A cuddly, loyal, and an affectionate family dog that will follow his people wherever they go. You heard or seen Boo the Pomeranian on Facebook who has about 16.4 million followers. The numbers make him the most adorable dog in the world. And dog owners caught in the craze would welcome a Pomeranian in their fold. They are toy dogs who will look gorgeous with their dress and sunglasses on. But don’t let the appearance deceive you they will make a noise when there is a threat. They are an intelligent and a teachable pet. The Pug is a big dog living in a pint-sized frame. They have a large head with a short-muzzled face and wrinkles around their big, black eyes. Pugs have a short, double coat, and a firmly curled tail. You can’t help but smile at their comical face. Pugs are clowns at heart they want to be the center of attention and feel depressed if unnoticed. They are intelligent and can be good watchdogs without the yapping. They love to be with humans and a good buddy to children. Meet one of the smallest breeds but with a huge personality. These pooches have a round head, raised ears, and shiny eyes. Coats can be long or short and come in a variety of colors and patterns. Chihuahuas are smart and highly trainable, a cocky dog wrapped in a small package. They can be noisy when other humans are around that makes them a good watchdog. Big dogs cost more to own, they have large appetites. You need tons of care when it comes to medication, training, exercise, and grooming. But you’ll earn their affection and a loyal friend. 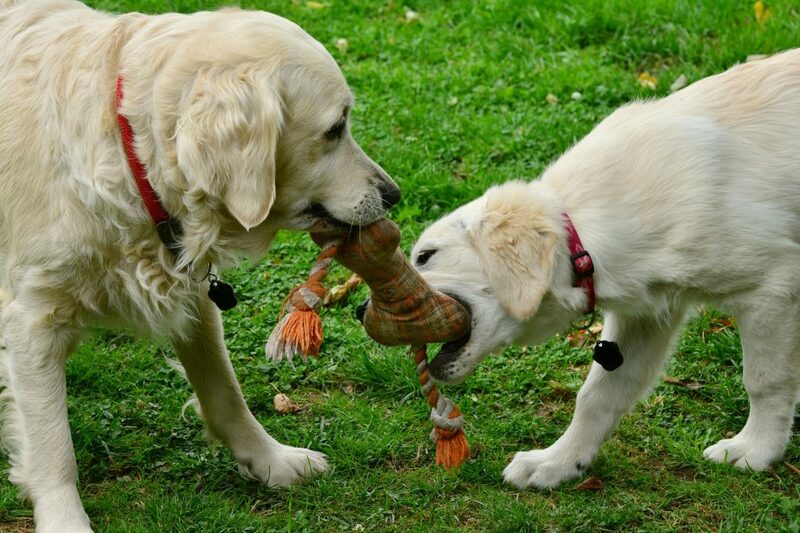 The Golden Retriever is a good family companion and acts as a working canine. They are smart and easy to train like fetching items in its mouth or waking up and accompanying family members. A popular choice among dog lover because of its curly and water-resistant brown coats, good nature, and lively disposition. They belong to the royalty class of canines with their loyalty, bravery, confidence, and charisma. German Shepherds are intelligent dogs and can catch commands for many tasks quickly. They will put their lives in harm’s way to protect their loved ones. German Shepherds are faithful companions and great watchdogs. You will notice they are near family members and will bark at suspicious strangers. Chowchows are excellent guard dogs. In China they are used in hunting, to watch boats, and pull heaves of cargo. These dogs have the coat of a teddy bear, the stare of a lion, and a curled bushy tail. Chows are an aggressive breed and should be adopted by dog owners who have the time and energy to proper training and socialization. They will retaliate if you tease or treat them harshly. Caring for a dog is like taking care of a baby, you have to provide a loving home, attend to their basic needs, and lots of time and attention.